Professor Eric D. Green is the Special Master of the Takata Airbag Individual Restitution Fund. Professor Green is one of the founding pioneers of Alternative Dispute Resolution (ADR) in the United States and around the world. 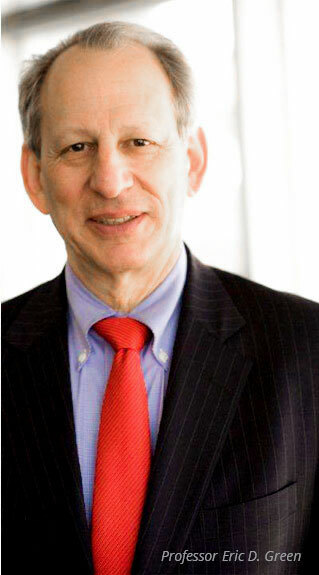 He is co-founder of two prominent ADR/Mediation firms, Endispute (now part of JAMS) and Resolutions, LLC in Boston. Professor Green graduated from Harvard Law School in 1972 and was awarded the Knox Memorial Traveling Fellowship, which took him to Cambridge University, Cambridge, England, for further legal studies. After returning to the United States, Professor Green was a Law Clerk for Justice Benjamin Kaplan, Massachusetts Supreme Judicial Court. After clerking, he became an associate and then a partner with the law firm Munger, Tolles & Olson and then an Attorney Advisor to the Regional Director of the Federal Trade Commission. Professor Green formerly served on the faculty of Boston University School of Law for over thirty years and taught the course in Evidence at Harvard Law School as a Lecturer in Law. Professor Green has served as a private and court-appointed mediator and special master in hundreds of cases, including the Enron securities class action, and Visa/MasterCard and Microsoft anti-trust cases. Professor Green was instrumental in assisting in the establishment of the Center for Public Resources (CPR) in New York, the Center for Effective Dispute Resolution (CEDR) in London and the mediation program in Hong Kong. He has been involved in training mediators and in advising on the development of mediation programs for the courts, CPR, CEDR, the Hong Kong Arbitration Authority and elsewhere. Professor Green has also been centrally involved with the International Institute for Conflict Prevention & Resolution’s mission of developing and implementing ADR Technology for corporate disputes since the Institute’s founding in 1979. Professor Green has been the recipient of numerous awards for his work as a mediator. In particular, Professor Green was recently named by The International “Who’s Who Legal” in Commercial Mediation as the leading US-based mediator and was awarded the Lifetime Achievement Award from the American College of Civil Trial Mediators. Professor Green was also recognized with the James F. Henry Award by the International Institute for Conflict Prevention & Resolution for his outstanding contributions to the field of ADR. Professor Green is a prolific writer of books and articles. He has co-authored leading law school textbooks on Evidence and Dispute Resolution, and numerous articles in each of these fields. From 1977 until his retirement from teaching, he taught negotiation, mediation, complex ADR processes, resolution of mass torts, evidence and constitutional law at Boston University School of Law and as a visiting Lecturer in Law at Harvard Law School, and designed and led numerous training programs on these subjects. In addition to the foregoing, Professor Green serves as the legal representative for future claimants for the following trusts: the Federal-Mogul Asbestos Personal Injury Trust; the Babcock & Wilcox Company Asbestos PI Trust; the DII Industries, LLC Asbestos PI Trust; the DII Industries, LLC Silica PI Trust; the Fuller-Austin Asbestos Settlement Trust; the Met-Coil Systems Corporation TCE PI Trust; and the Bondex Asbestos Personal Injury Trust. Professor Green has also served as the Special Master in many mass tort cases including asbestos, ephedra, and dialysate litigation.